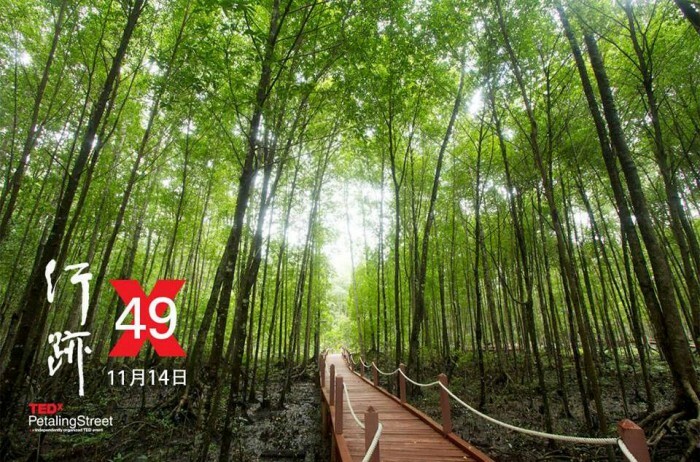 When I found out that I was invited to attend the TEDxPetalingStreet event and that it was going to be conducted mostly in the Mandarin dialect, I second guessed myself and wondered if I should even go. You see, I’m a little embarrassed to admit that my knowledge of this dialect is close to an elementary school-goer’s level, especially when it comes to speaking the language. I do converse in Mandarin and other Chinese dialects from time to time, but I somehow figured that the speakers would be using complicated sentences in their presentations, words that I won’t be able to comprehend. Fortunately, the 18 speakers, some of which spoke in English, gave their presentations using simpler terms, as they were after all talking about their life stories. 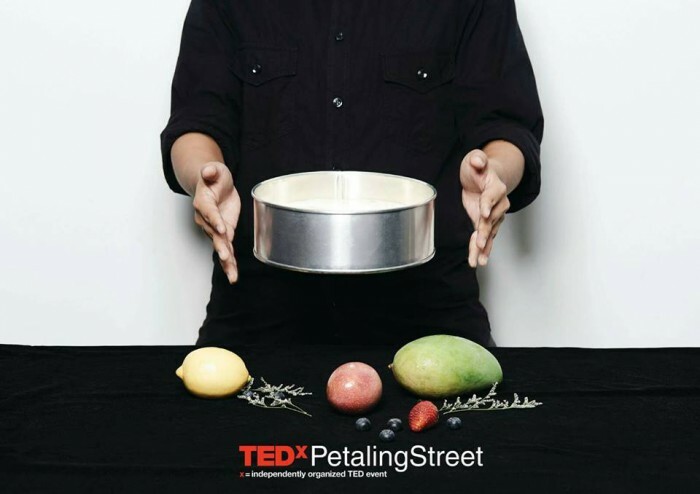 The theme of this recent TEDxPetalingStreet event was “The Path”, which is about treading the less travelled way to success and to seek out ways to be better and find your passion on uncertain territories. The speakers were all allotted an 18-minute time slot each and none of them seemed to be bothered by the short amount of time they were given. 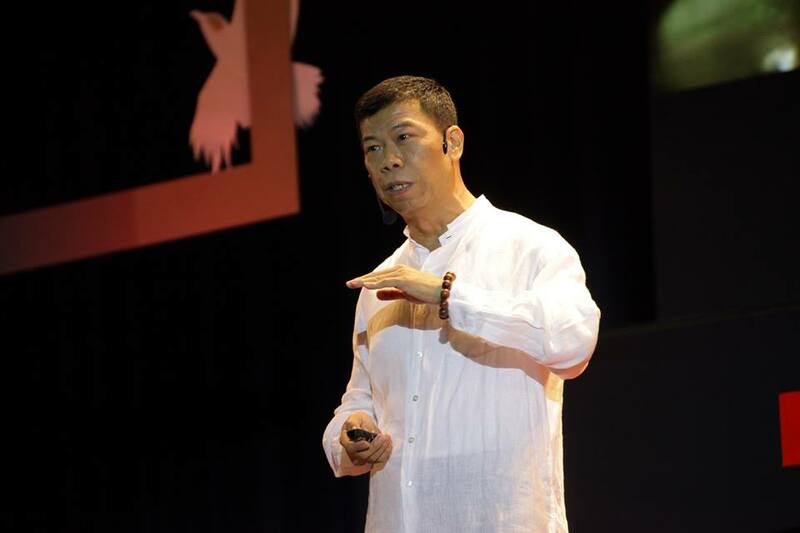 In fact, the event’s host, Bunz Yeoh told the crowd of around 1,000 guests, that these 18 individuals are used to speaking way longer than 20 minutes. However, they did manage to cap it off well under the given time and none of our attention spans were compromised either. Speaking on various topics such as lion dance, agriculture, opera pop and traditional games, it really was a mix of topics that we normally would not be privy to. With the talk, I managed to pick up 4 valuable points from the speakers. 1. The hardest thing can sometimes be the simplest. 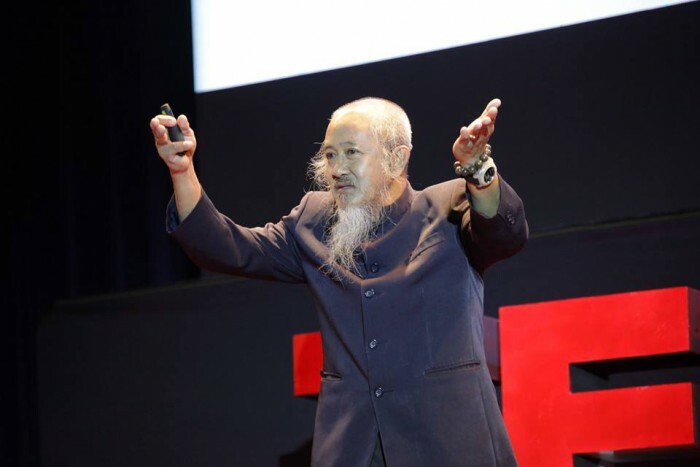 Despite his white hair and obvious older age, the first speaker of the day, Siew Ho Phiew, managed to conjure up enough enthusiasm to get the ball rolling for the day. He marched onto stage with a lion head costume in hand, going “Tong Tong Tong Chiang“, reminding me of the Chinese New Year celebrations. Ho Phiew is a lion dance costume maker and a prominent name in the world of lion dance here in Malaysia. He spoke of his trade and elaborated on how us humans seem to over-complicate situations at times. In fact, sometimes, the hardest things can be the simplest ones. To illustrate this, he used the analogy of singing the song Tong Tong Tong Chiang and got the whole crowd singing along with him. Having done that, he said that we were all able to follow along with him because we were willing to do it in the first place. A takeaway from his message was that so long as we have the willingness to put in the time to learn something, be it making a lion dance costume from scratch, or singing along to a new song, we will be able to learn it in due time. We just have to believe that we are able to do it. 2. Travelling can be an awesome source of inspiration. Eric was smiling for most of the talk, even when he spoke of his downfalls and sad moments in his life. 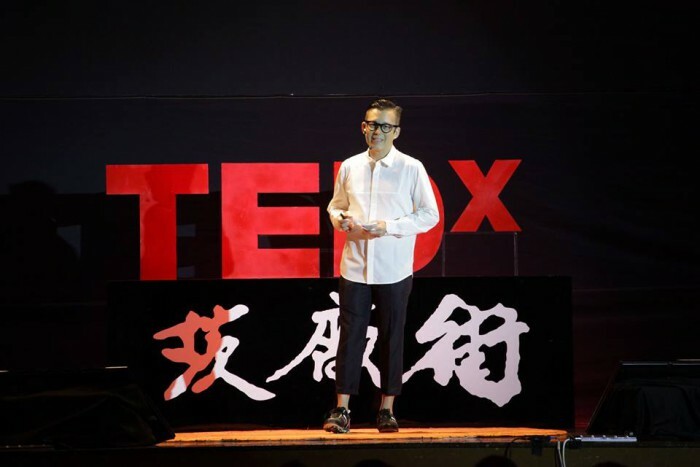 This drew me in deeper to his story of how when he was younger, Eric Choong’s mother gave him all the support he needed in order to pursue fashion design. His father however, did not. When he finally got the chance to pursue his dreams of becoming a fashion designer, Eric found inspiration in the most unlikeliest of places. Once, while he was on vacation, Eric spotted several Tibetan monks and observed their lifestyle closely. He soon came to realise that the shoes they always had on their feet were mere sandals, and even so, they managed to look put together at all times. It was like a sudden lightbulb went off, and Eric soon retreated to the drawing board where he drafted a collection of his. The collection included clothing made for Malaysians, as we are known for wearing sandals and slippers on our feet because our weather climate condones it, and also for the convenience it brings. Slippers on the runway might have seemed odd, but that’s how Eric managed to localise his fashion brand and make it relevant to our society. 3. Childhood games have a way of keeping the youth alive. For those who might have lost their zest in life, they could have been keen to listen in closely to Chang Kim Hua’s speech. He may be older than a lot of the speakers during the day, but he certainly still has a sense of youthful playfulness on his side. Kim Hua attributes this to the fact that he enjoys playing childhood games, and they have taught him a thing or two in life. For instance, Kim Hua enjoys the Malaysian game of Lat Tali Lat Tali Tam Plom and he gave a great illustration to it. The game uses no tools but only our own set of hands. As such, there are only ever two sides to the game and he used it to describe how in life, it’s only black or white, good or bad, yes or no. It certainly gave me something to ponder on, because it’s true how there are always two decisions to make in life, both of which will give you vastly different results. Therefore, it is up to the individual to make their own life choices. 4. Everything we do in life has its own degree of risk. Captain Lim Khoy Hing was one of the few speakers who conversed in English and it was perfect, because I noticed that some of the guests were not of Chinese descent and probably would have found it more convenient to listen to an English speaker (well, I could be wrong and they might have been really proficient in Mandarin). Either way, it did not seem to matter what language Captain Lim spoke in. He was hands down one of the speakers who garnered the whole room’s respect. 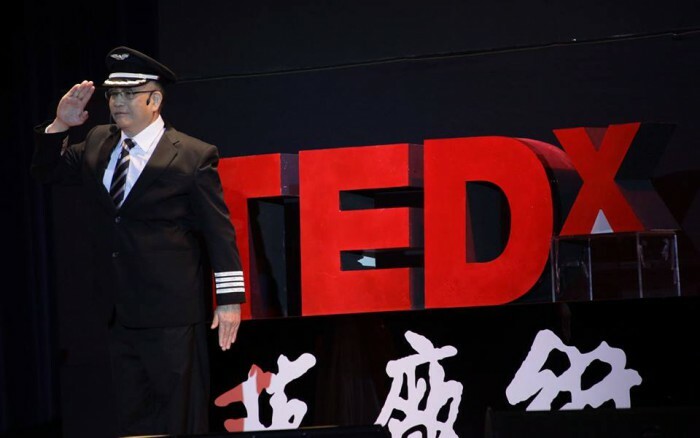 He started off his presentation by saying “This is your Captain speaking”, and was decked fully in a pilot’s outfit. I could not help but smile, for Captain Lim who will be turning 70 soon, reminds me of a friendly grandfather lending his advice to his many children. He has his own website where people may submit their questions about flying, and as such, he spoke on the various topics he has covered through his website. This includes how flying is often times safer than driving on the road. Captain Lim concluded how everything we do in life takes a level of calculated risk. However, if we were afraid of flying, we will always be stuck on the ground, unable to experience the exhilaration of what the world has to offer. Often times, we should just take the risk and run with it because we never know what might come out of it.